The Central Railways will press into service the first Utkrisht rake of Pragati Express, running between Pune and Mumbai with upgraded features, from November 4, 2018. This Railway Board has sanctioned a project of upgrading existing rakes covers, upgradation of toilets, vinyl wrapping in interiors, upgraded interior amenities and fresh PU paint of each coach. "The Pragati Express - 12125/26, rake has been refurbished with many new features such as ceramically tiled washrooms for better cleanliness, upgraded toilet amenities, and custom designed window ventilators in washrooms for air circulation. 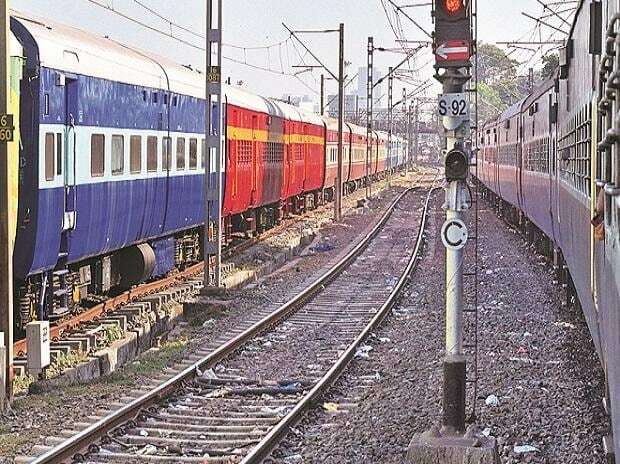 Led lights, new fans in all coaches, passenger info system in AC coaches are some of the other upgraded amenities," the Central Railways said in an official statement. "Each coach has a different, pleasing interior with colour coordinated vinyl film wall patterns and interior paint," it added. The Central Railways has 5 trains (10 rakes) identified for upgradation under the Utkrisht project. Upgradation of each rake is expected to cost about Rs 6 million. The Railways has also designed and displayed a special Utkrisht logo on each coach of the upgraded Pragati Express. Pragati Express was introduced on December 27, 1991. From July 7, 2012, it was diverted via Karjat-Panvel-Diva on a trial basis, and from July 31 the same year, the diversion was made permanent.